Hi No Tori Fansubs Releases Robot Detective! Hi No Tori Fansubs along with Deadfish Fansubs has just released the first episode of a classic tokusatsu series called, Robot Detective (Robot Keiji)! 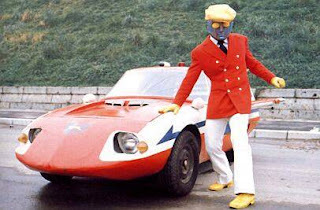 Like Goranger and the Kamen Rider series, this series is also created by Shotaro Ishinomori! Unlike most of Ishinomori's heroes, Robot Detective does not have a human form, but can display emotion via changes in his face. You can download the Robot Detective Episode 1 subbed in their official site!